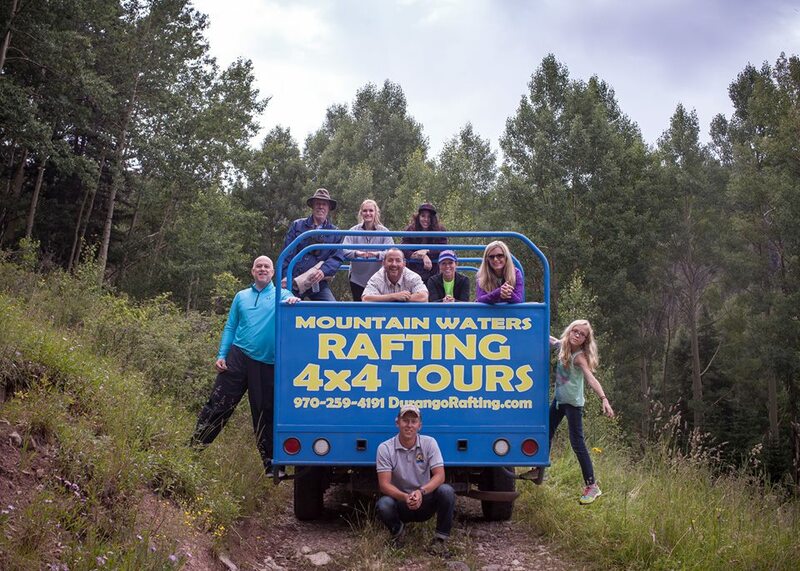 Owners Dan & James along with the whole crew at Mountain Waters believe that rafting is one of the funnest things you can do in the whole wide world. The joy of floating down a river or being challenged by difficult whitewater has created an insatiable passion in us that we want to share with you. 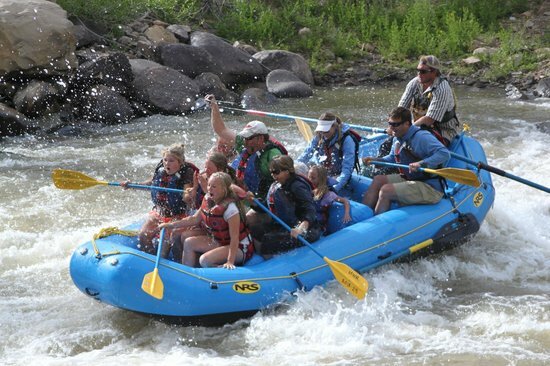 Combine rafting with any of the areas local attractions geared towards family fun and save money with our packages: 44 Jeep Trail Tour, Official Raft & Rail Provider for the Durango-Silverton Train, Zip Line Tours, Mesa Verde Tours, Rock Climbing, Stand Up Paddle Board or Bicycle Rentals.Kid tested and mom approved since 1981! 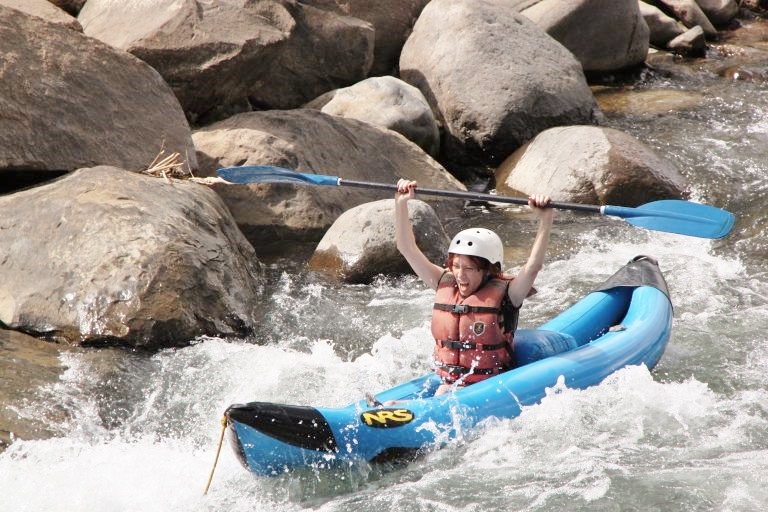 Mountain Waters Rafting makes it easy and FUN to experience whitewater rafting in Durango! 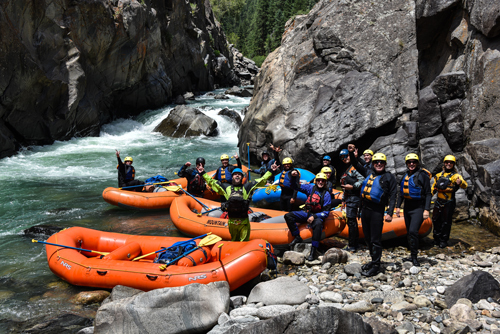 Over 30 years of rafting experience gives us an edge over any other outfitter and our satisfied customers attest to our experience and professionalism. 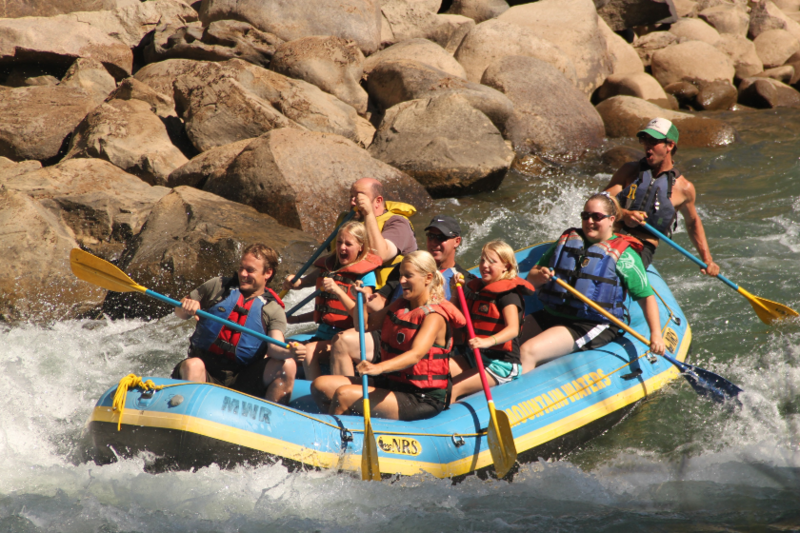 Our Lower Animas Raft Trips through town stand alone or are packaged with the Durango Silverton Narrow Gauge Railroad, Zipline tours with Full Blast Adventures or with our own fleet of rental bikes on the Animas River Trail. 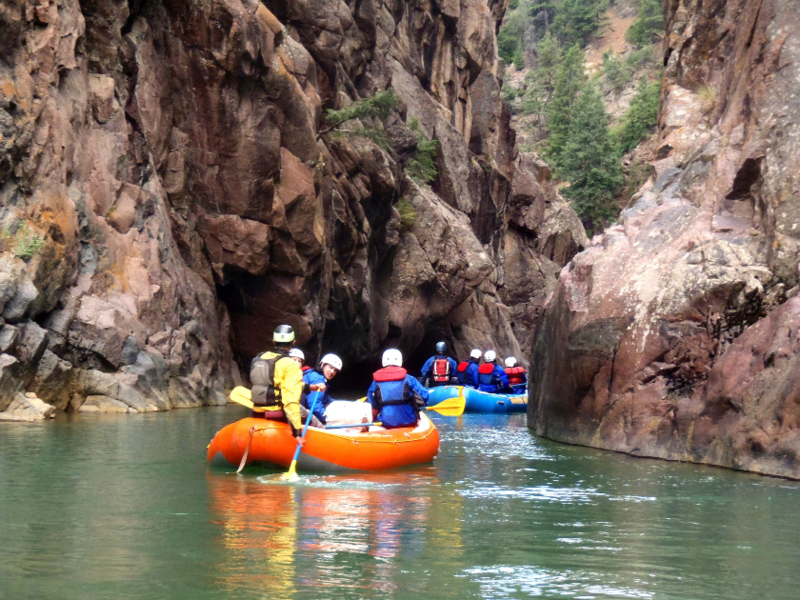 Class IV-V raft trips are available on the World Class Upper Animas and Piedra Rivers. 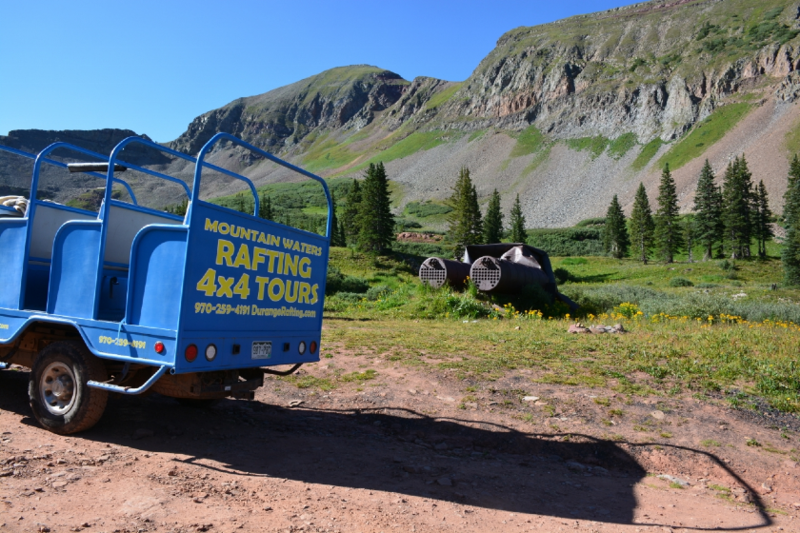 A full day of fun, memories, scenery and excitement is what Mountain Waters is all about. We can’t wait to see you on the river this summer! 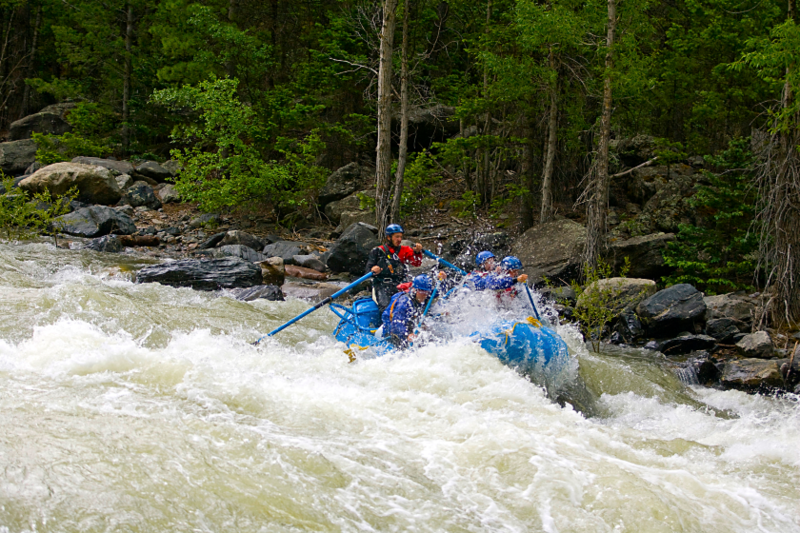 Whitewater rafting the Animas River in Durango, CO is consistently rated the highlight of vacationing visitors. 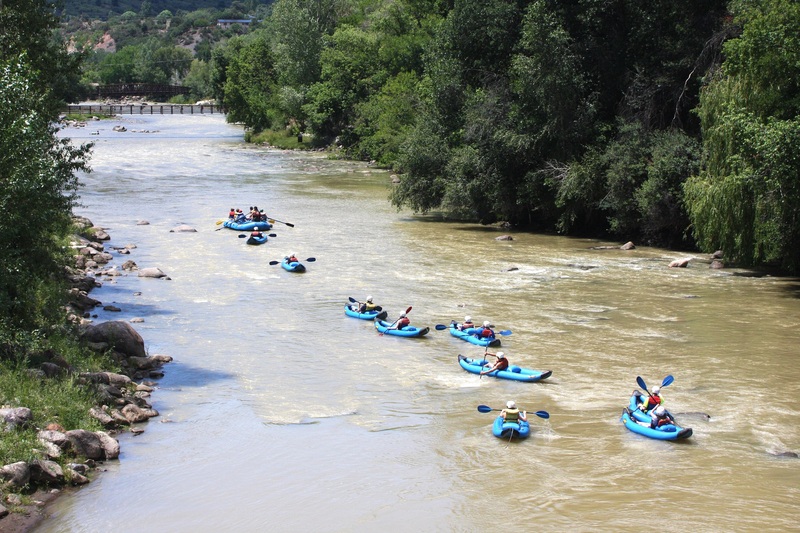 Of all the things to do in Durango, the family friendly Class I, II & III rapids are enough action to engage novices without being intimidating. Between the mountain scenery and professionalism of our guides we have been kid tested and mom approved since 1981! Half way through we will stop and have a snack of fresh fruit, chips & salsa, and pure Weminuche Wilderness Water! Our downtown office includes free secure parking, changing rooms, restrooms, retail, restaurant and grocery store adjacent to the river and 2 blocks from historic main street and the train. 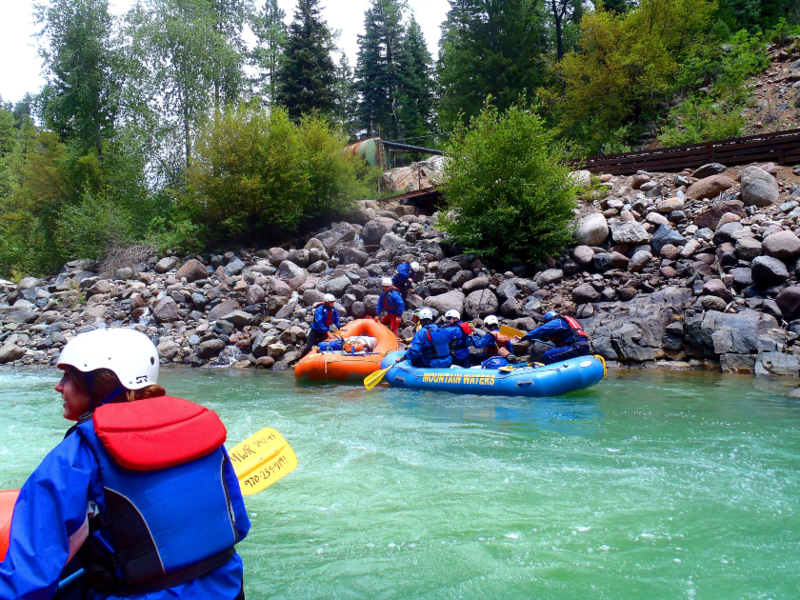 The 2 hour Economy Raft Trip is for those with time constraints or just aren't sure if they or their children will enjoy rafting. You will! and if you read our reviews on tripadvisor you will find they advise going on the half day trip. Either way you will have a great time! 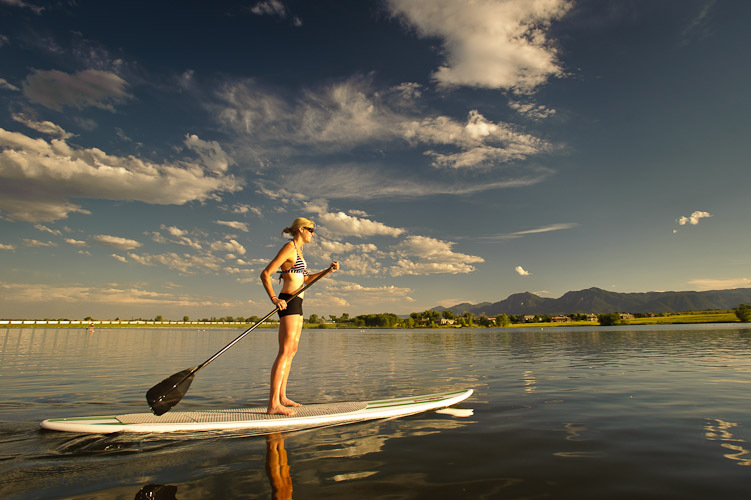 Mountain Waters Rafting Stand Up Paddle Board rentals are BIC Sport rigid construction 9â€™10" Duratec Originals. 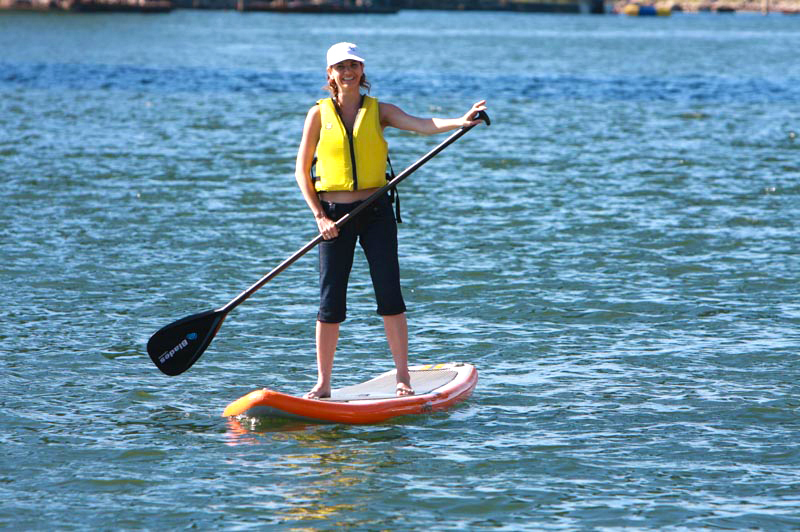 These are beginner friendly paddle boards appropriate for flat river water or lakes. We will provide you with equipment and recommendations. Explore Coloradoâ€™s newest lake, Lake Nighthorse, on a Paddle Board. Just 5 minutes from our office! 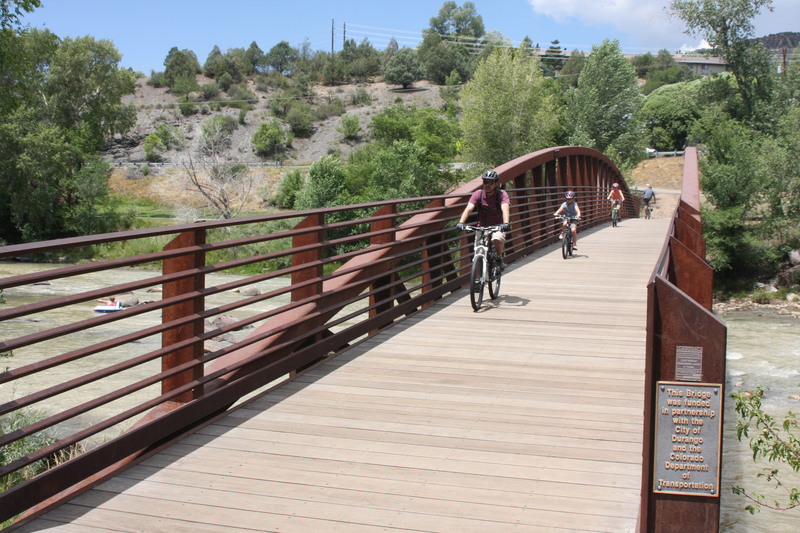 Our office is located next to the beautiful Animas River and its traffic free 7 mile bike trail. Take a few of hours to explore the river trail by bike. 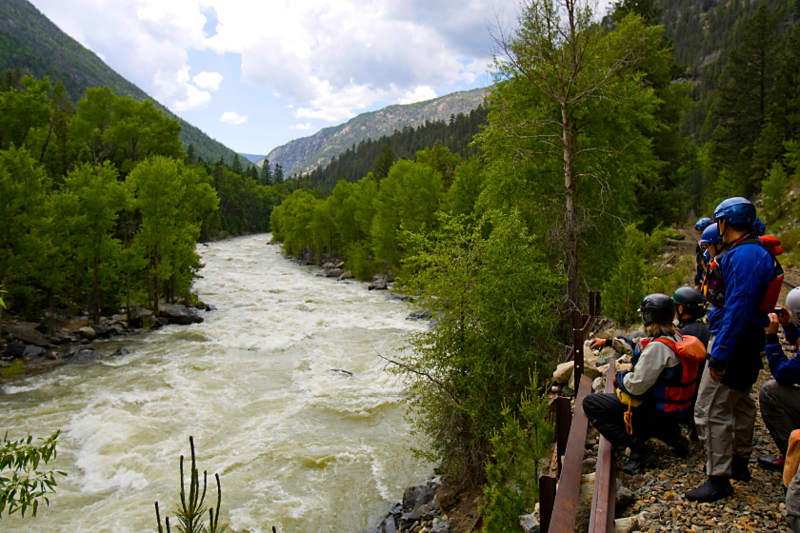 We have a fleet of American Flyer and Sun Cruiser bikes to experience one of Durangoâ€™s favorite treasures! With our free map you can put together a brewery tour or visit bike trail attractions such as the Discovery Museum, Fish Hatchery, Mini-Golf and the million dollar whitewater park. 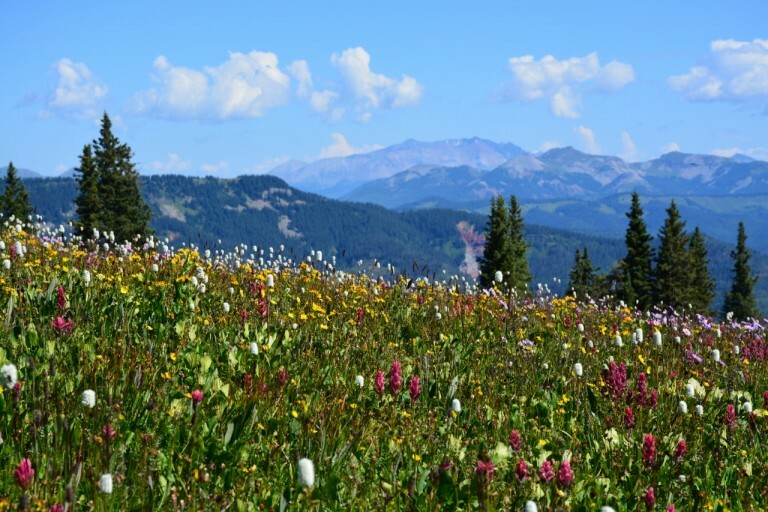 Spend time high in the rarefied air of the La Plata Mountains just 15 miles west of downtown Durango. 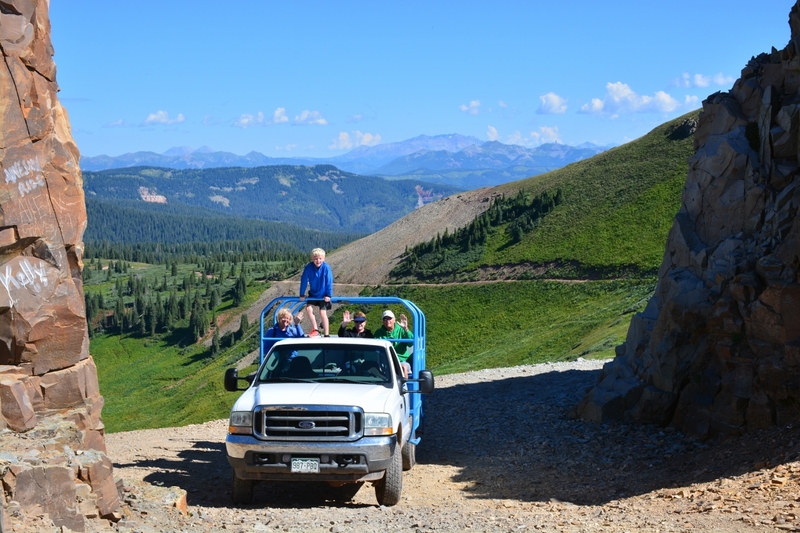 This open vehicle 4Ã—4 excursion winds up and through La Plata Canyon for 14 rugged miles reaching the majestic views from Kennebec Pass at over 12,000ft. Along the way your guide will explain the canyon's mining history such as the vanished La Plata City town site from 1875 and hear about characters like Olga Little, one of the world's only woman mule skinner's. Also learn about the native Ute people, the areas geology as well as flora and fauna of the San Juan Mountains. Booking Tip: Locals know to avoid the monsoonal afternoon rain-showers by choosing the 8 AM tour. 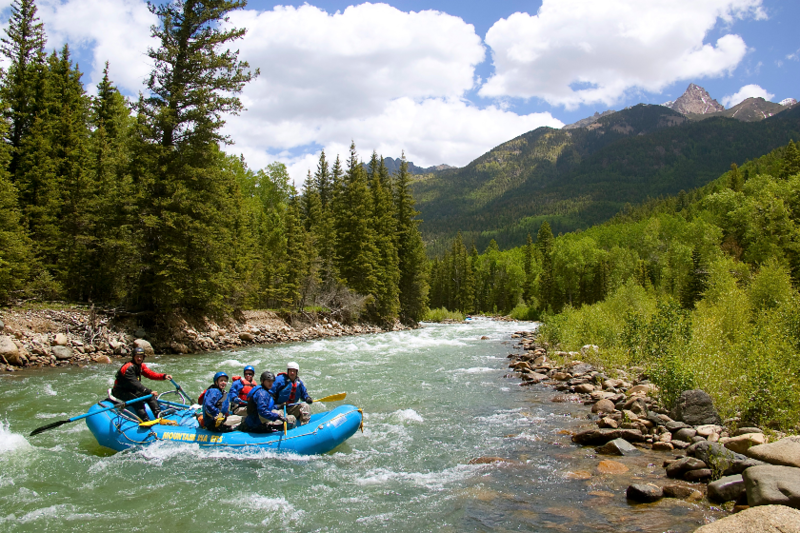 Ride the Animas in an inflatable kayak and go for the next level of excitement! Great for First Timers! Accompanied by a professional Guide! Easy to Learn! Goose the river for more fun all summer long! In the spring when the water is high you'll be in for the ride of your life; when the water level drops later in the summer you can get more thrills from your journey down the "River of Lost Soul". A UNESCO World Heritage Site since 1978 and considered the largest archaeological preserve and first cultural National Park in the country created in 1906 by president Roosevelt. 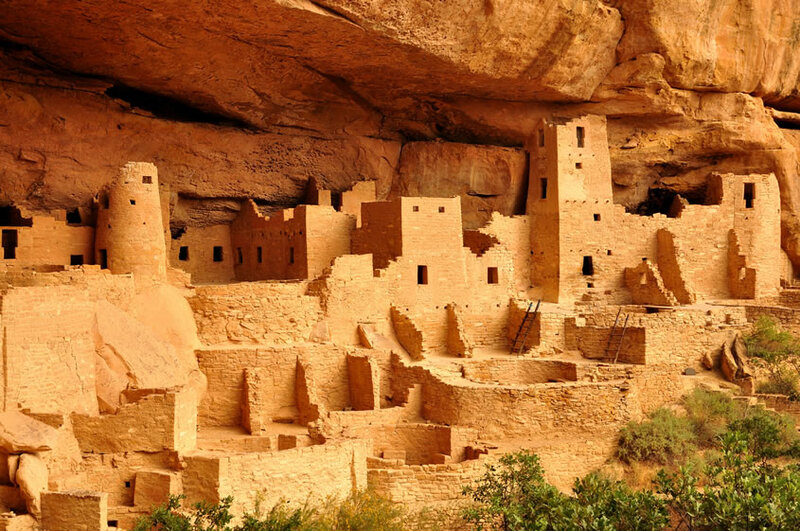 Mesa Verde, Spanish for green table, offers a spectacular look into the lives of the Ancestral Pueblo people who made it their home for over 700 years, from AD 600 to 1300. 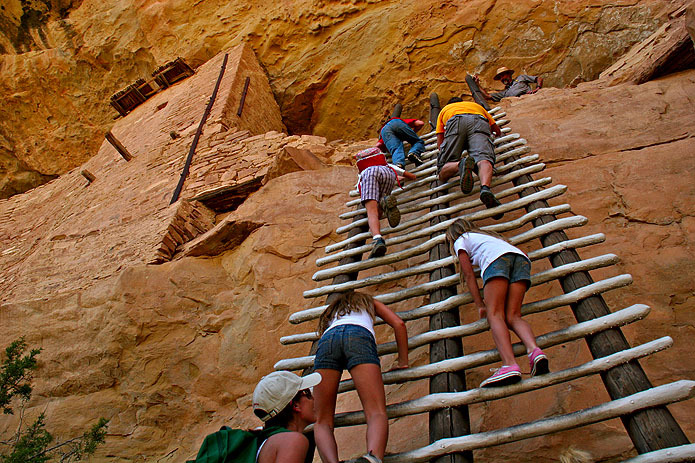 Today the park protects nearly 5,000 known archaeological sites, including 600 cliff dwellings. These sites are some of the most notable and best preserved in the United States. Our guide will customize the trip to your group offering choices from the parks guided tours as well as adding historical, cultural and archaeological insights on interpretive hikes and walking tours. Price Includes: Transportation, park entrance fees, ranger-guided tour tickets, and a deli-style lunch. 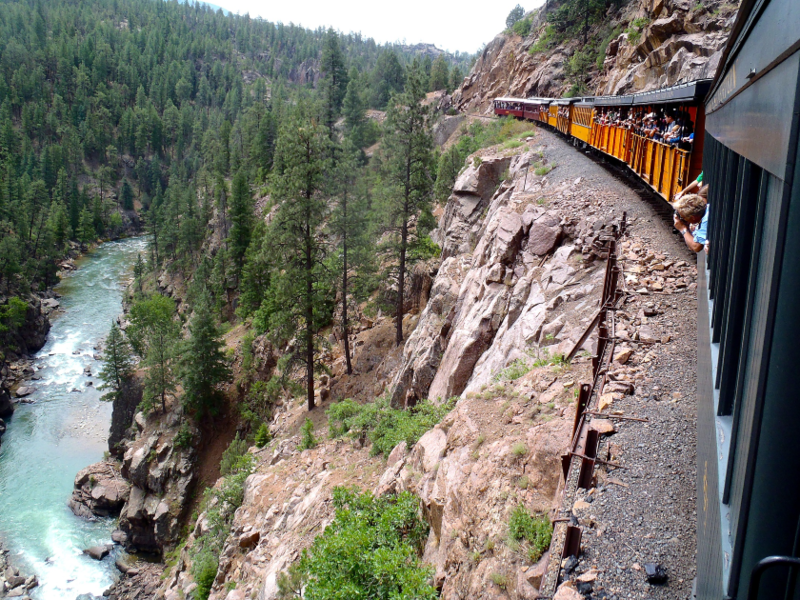 The Durango-Silverton Train will take us to the halfway point in the canyon where this trip begins at Needleton. Here lies the start of 12 miles of the friendlier side of the Upper Animas. 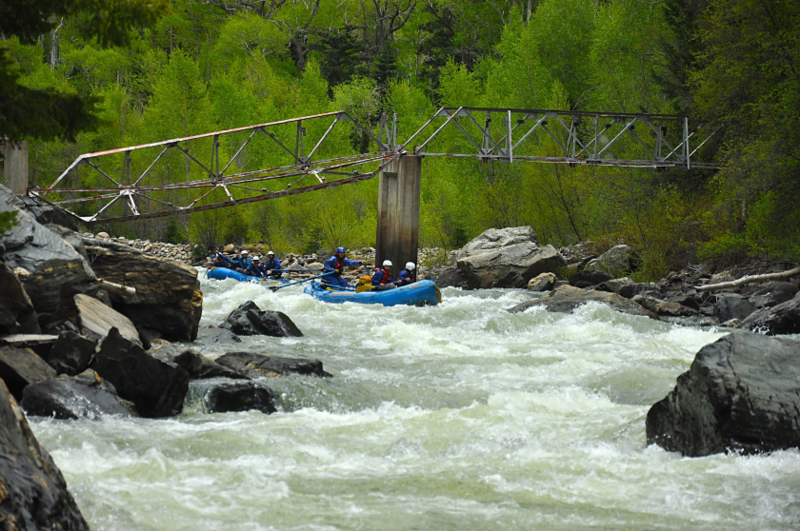 The river quickly gets your attention with Class IV Broken Bridge Rapid followed by miles of continuous Class II & III whitewater. 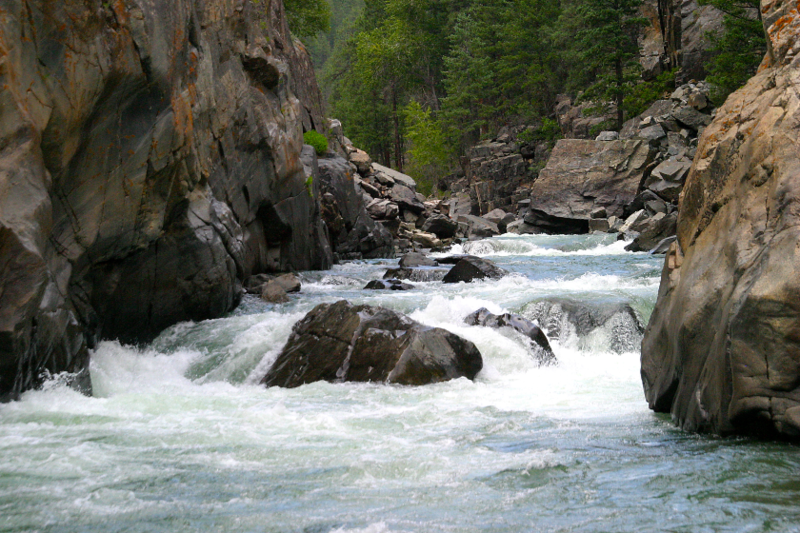 Stunning scenery and fun whitewater action make this the foremost trip in the state for all experience levels! 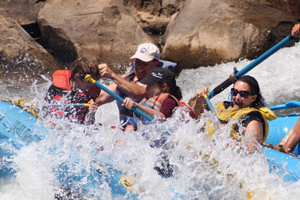 Price includes: river access fees, train tickets, lunch, and all rafting equipment. This trip runs after the flows have peaked for the season and the Silverton & Needleton stretches become too low to raft. The 200 foot deep Rockwood Gorge is narrow enough and steep enough to provide exciting Class IV pool-drop rapids late into the summer! We access the gorge with a beautiful train ride into the canyon and end with a 1 mile hike 400 feet up to our waiting vehicle. Free secure parking, changing rooms, restrooms, retail, restaurant and grocery store adjacent to the river and 2 blocks from historic main street and the train. Cancellation | Full payment is required at time of reservation. If you have qualified for a group discount, cancellations must be received 7 days prior to the trip's scheduled departure. 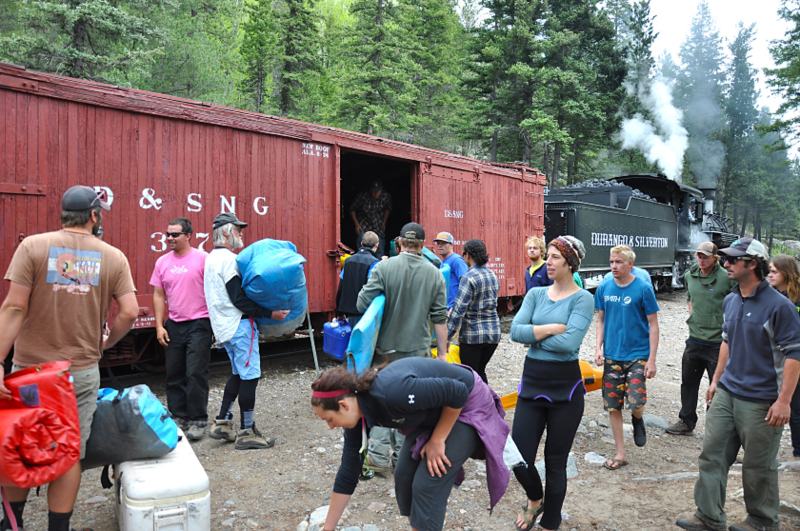 Raft 'n Rail package conforms to the Durango & Silverton Narrow Gauge Railroad cancellation policy. Train ticket refunds/Cancellations are subject to a fee of $14.00 per adult ticket and $7.00 per child ticket if cancelled prior to 48 hours of your reserved date. There are no refunds issued on reservations cancelled less than 48 hours of your reserved date. Deposit | Trips are paid in full at the time of booking. Other | Trips are paid in full at the time of booking. 24 hours prior to the trip's scheduled departure. 10% charge (plus lunch costs for full-day trips) for cancellations without prior notice. No refund for no shows and no calls. For groups of 25-49, cancellations must be received 7 days prior to the trip's scheduled departure. For groups of 50 or more, cancellations must be received 4 weeks prior to the trip's scheduled departure.